Sow 2-3 seeds directly to heaps in the regular spot or prepare seedlings with root clods. Seedlings don’t take transplanting without the clod. If all three seeds germinate, cut off the two weaker ones. At least 30 cm (12 in) between the rows and at least 30 cm (12 in) between the plants in a row. Second half of July till first half of August. Transplant until the first week in September. It germinates in 10 to 12 days. You can use home compost. It doesn’t need fertilizing if the previous plant on the field was fertilized with barn manure. Keep the soil soft and water occasionally with comfrey brew. Avoid mineral fertilizers. Not very demanding but make sure to enable sufficient moisture. Swiss chard, spinach, peas, beans, celery, Indian cress, peppermint, sage, chamomile. Flea beetles and butterfly caterpillars. Plant aromatic herbs near. It survives low temperatures and can be left in the garden till December. Cut the heads in dry weather and wrap them in newspaper to store in a cool and not too dry basement. It can last up to three months. Use the leaves fresh or cooked in different dishes. They are gentle, crispy, somewhat sweet. They contain a little less vitamin than other brassica vegetables. It grows quickly, in 6 to 8 weeks after transplanting, and provides vitamins in the period when they are needed. It blooms in long days, so plant in the second half of summer. 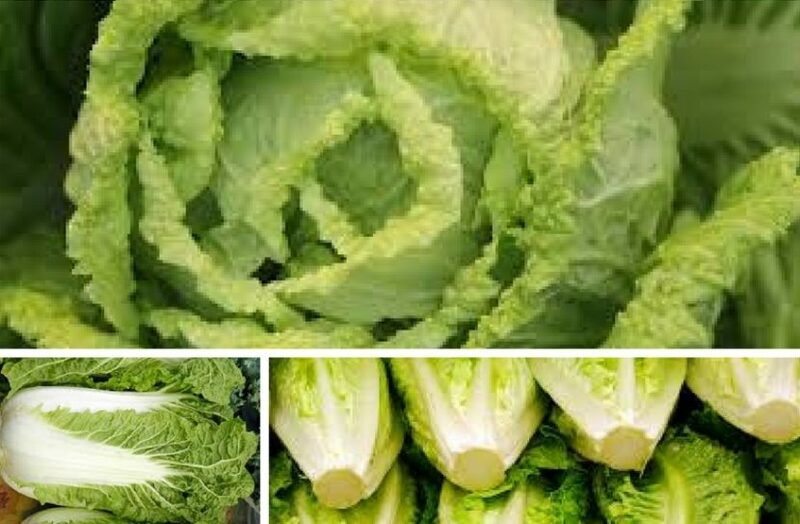 There are two varieties: green (bok choy) and white (napa cabbage).